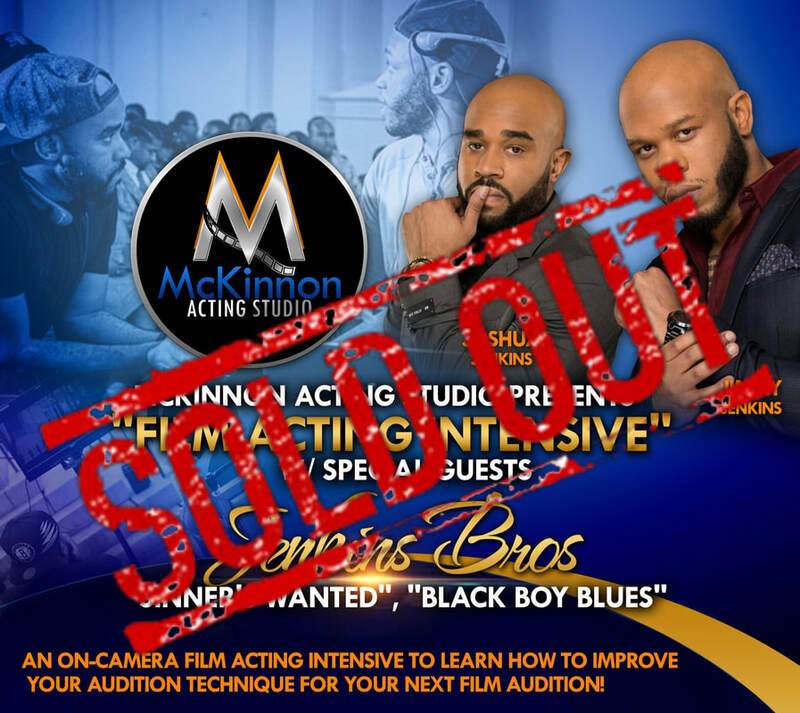 McKinnon Acting Studio is honored to have , Joshua & Jimmy Jenkins, for an On-Camera Acting Intensive. You will learn how to improve your Audition Technique for your next film audition! ONLY 12 seats available for this workshop. The first 12 to register and fully pay for a slot will have their seat secured. This intensive is for actors ages 16 and older. The intensive will start with a brief Q&A with the industry guests. Next, each actor, one by one, will go in front of the panel and a reader to perform their scene on camera. After receiving coaching and feedback, the actor will get to do the scene a second time. All other actors in attendance will be able to watch your performance live on a screen while you're auditioning. The presence of a guest that visits McKinnon Acting Studio does not guarantee employment opportunities. This is a learning environment. Born and raised in Prince George’s County, Maryland, THE JENKINS BROTHERS have established themselves as media moguls through their inspirational work in the entertainment industry. Jimmy and Josh have produced over fifteen productions collectively and have over twenty years of experience combined. They have worked closely with renowned talent such as Lamman Rucker, Tasha Cobbs-Leonard, Anthony Brown, Traci Braxton, Fred Hammond and Clifton Powell. In anticipation of the nationwide release of their debut feature film “Sinners Wanted,” the film has been screened at the Pan African Film Festival in Baldwin Hills, CA, in addition to a special screening during the Sundance Film Festival with the African American Women in Cinema in Park City, UT. The Jenkins Brothers have also written the hit stage play, “Black Boy Blues”, a tale inspired by the untold story of the destruction of Black Wall Street in Tulsa, Oklahoma during the early 1900’s. Their play has toured throughout the United States and is still performed for a wide range of audiences. Many attest to the phenomenal work of The Jenkins Brothers as they continue to produce work that will make you laugh, cry, and feel inspired.